Low-traffic rural roads, wilderness trails, and quiet villages offer great riding, but they also may mean traveling for many miles between service centers. Basic services – water, food, shelter, toilet, and emergency cell service – can be limited depending on where along the route you choose to ride. For some, this simply means planning ahead and packing your own essentials. Others may feel more comfortable choosing a route that is in proximity to support services. Use the Interactive Map to find key services along your intended ride, or to find local shops where you can stock up before you set out. Note that restaurants and stores often have limited hours, with most closing by 8:00 p.m. – and many restaurants are closed on Monday. 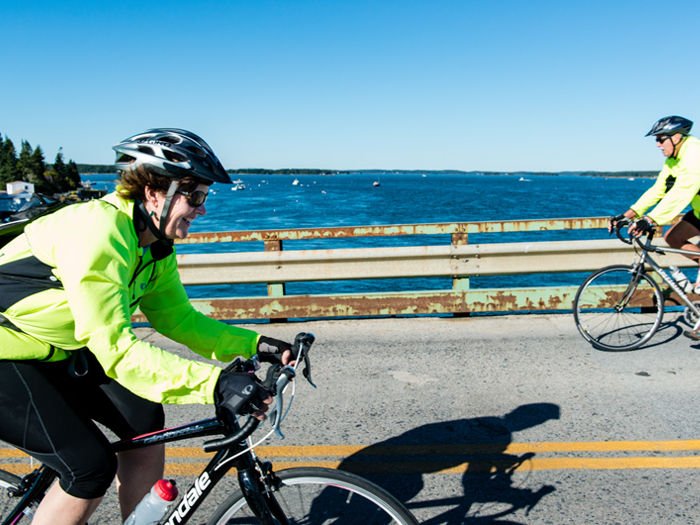 Bike Safety Tips and Maine’s Bicycling Laws and Motor Vehicle Laws related to bicycles are available via the Bicycle Coalition of Maine and the Maine Department of Transportation. Wear a properly fitted bicycle helmet (mandatory for bicyclists under age 16). Obey the rules of the road and follow all traffic laws, signs, and signals. Use proper turn signals and ride in designated bike lanes and on shoulders whenever practicable. Be prepared to stop, but be cautious of making sudden stops on loose gravel. Stay to the right. Warn other users before passing on the left. Carry and drink plenty of water. 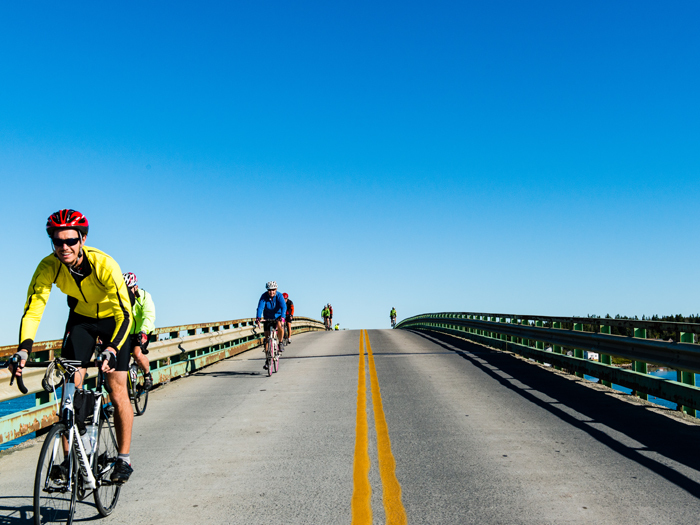 Motorists must give bicyclists 3 feet of clearance when passing (Maine law).